Win a bespoke Ultimate Tea Towel!! 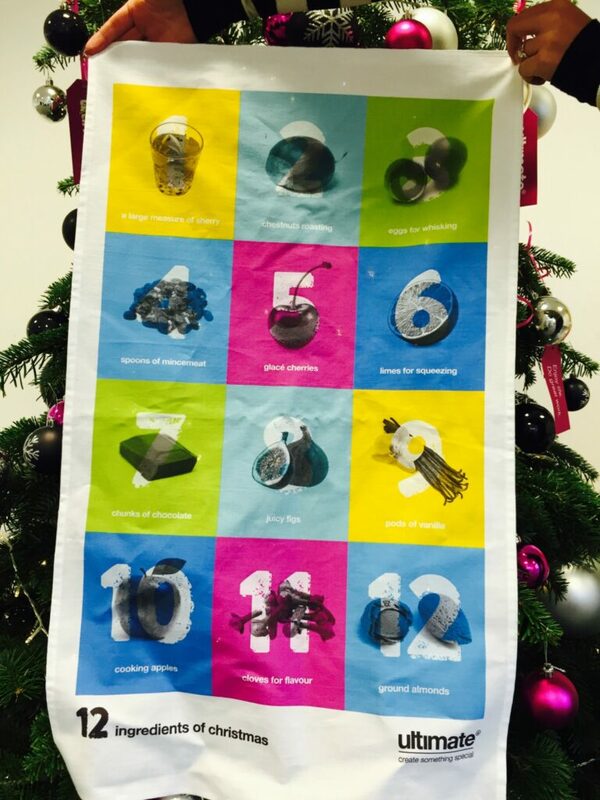 Read on to see how you could be in with a chance to win 1 of 10 bespoke Christmas tea towels! We are all about the Christmas spirit at Ultimate towers and, along with the bespoke Christmas gifts we have been giving out to our clients, we are running a competition to everyone and anyone who would like 1 of 10 of our limited edition Christmas tea towels. All you have to do to be in it to win it is to take a photo, video or song and dance of something creative you have created to celebrate Christmas 2015. Tag us and use the hashtag #UltimateCreativeXmas and you could be in with a chance to have one sent out to you.